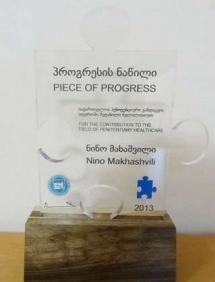 "Piece of Progress" prize is awarded to Nino Makhashvili, GIP-Tbilisi Director, for the contribution to the field of Georgian penitentiary healthcare. A program in Wake County, N.C. (USA), trains paramedics to perform mental health exams on patients in the field. 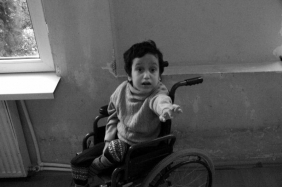 Disability Rights International released a report today documenting atrocious human rights violations in the Republic of Georgia's orphanages and institutions for persons with disabilities. Human Rights Day continues the celebration of the 20th anniversary with 20 YEARS: WORKING FOR YOUR RIGHTS as its theme but with the emphasis on the future and identifying the challenges that lie ahead. MiNDbank, a new WHO database goes online today, presenting a wealth of information about mental health, substance abuse, disability, human rights and the different policies, strategies, laws and service standards being implemented in different countries.